My Trend Alert Series for fall/winter 2017/18 is almost coming to an end. One of my favourite trends for this season is the Metallic Silver one. I love it because clothing or shoes in Metallic Silver are very versatile. Combined with some knitwear a Metallic Silver skirt is a great option for your work life, for the after hours I would change the cosy knit for a silky camisole. Likewise, a Metallic Silver heeled boots look great with a party outfit but also with jeans and a sweater. Oh, and of course Metallic Silver clothing is a great option for the looming Christmas season. As you can see, the options to incorporate Metallic Silver into your wardrobe are diverse. Here are some of my favourite street style looks. 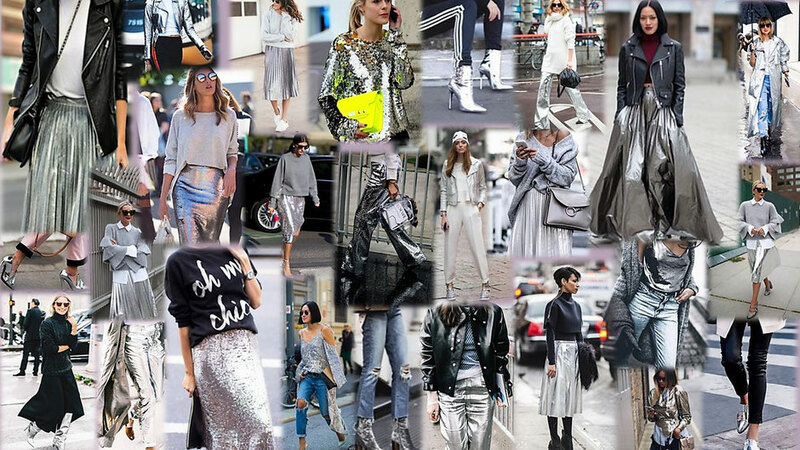 Do you like the Metallic Silver Trend?